2010 J.D. 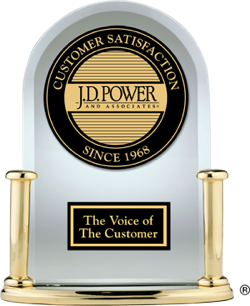 Power Performance ratings and awards are based on the feedback of verified car owners who have owned their vehicle for 90 days. This rating includes their opinions of the engine, transmission, driving dynamics, seat comfort, usability of technology, feel of safety and visibility. In 2010, Porsche built the most appealing vehicles. According to J.D. Power research, Porsche builds the most appealing vehicles for 2010. Looking for a high-quality, highly efficient small car or SUV? In 2010, these models were highest-ranked for performance and design. Who doesn't want to own a vehicle with appealing design and performance? According to J.D. Power research, the following 2010 compact cars and SUVs are most appealing vehicles in their respective segments, according to the people who own them. If you want a midsize car or SUV that does more for you than just carry kids and haul groceries, consider one of the models listed below. They ranked highest in their respective segments in terms of performance and design in 2010. Vehicle shoppers want to drive something that performs well, looks good, and feels great. According to J.D. Power research, the 2010 large cars and SUVs below were highest ranked in terms of overall appeal.